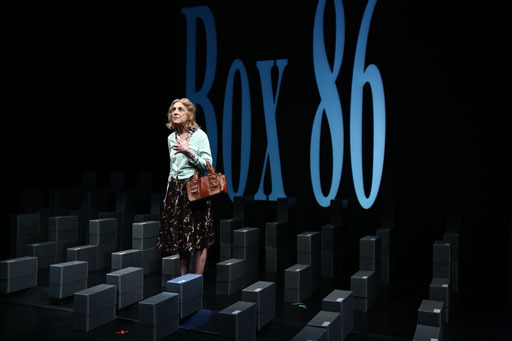 Three-time Obie award-winning playwright Ain Gordon has written and directed a new play, 217 Boxes of Dr. Henry Anonymous, that chronicles the successful efforts of Dr. John Fyer to declassify homosexuality as a mental illness. Fryer's testimony at the 1972 American Psychiatric Association Annual Meeting is considered one of the most significant moments in the history of the gay-rights movement. As an openly gay psychiatrist who could have lost his medical license, Fryer used a pseudonym, mask and voice modulator to address his colleagues. The cast includes Drama Desk, Outer Critics Circle and Obie Award winner Laura Esterman (Marvin’s Room), Derek Lucci, and Broadway veteran Ken Marks (Mamma Mia!, Dear Evan Hansen, Dancing at Lughnasa, Hairspray). Performances begin May 3 at Baryshnikov Arts Center’s Jerome Robbins Theater in New York City (450 West 37th Street). For more information, head over to the official website here.